Being present is the ability to be completely in the moment and flexible enough to handle the unexpected. When you are driving; playing golf or tennis; walking the dog; preparing food; or looking after a toddler. When we are present we are focused and alert. When you are under pressure; about to make a presentation; giving feedback in a performance review; receiving feedback; when you notice you aren’t getting things done because you can’t focus; when dealing with conflict; when you need to make an important decision. When we learn to come in to the present moment, we can overcome fear and become focused, alert and be our best. Being present not only benefits us, but others too. When you face and overcome fear you build confidence in yourself. Confident people are attractive. People are drawn to you – bosses, peers and those you lead. You can be relied on to do a good job. You build trust. Being focused and ready also inspires confidence within others. You become a role model for others to be their best. The advantages of being present are obvious. We are at our best when we are fully in the moment. But why is it so difficult to get here? There are many reasons, but most of all its because the “moment” keeps changing. Our world is always in motion, and with today’s technology everything is speeded up. Everyone is trying to do several things at once, yet no one thing gets our full attention. This frantic activity exacerbates the underlying problem – how we react to our own feelings of fear. In one form or the other, fear is what keeps us from being present. When we feel fear it isn’t the feeling itself that keeps us from being present but the thoughts that we attach to the fear that create problems. One of the biggest obstacles to being present is the adrenaline rush that comes when we humans face a threat. 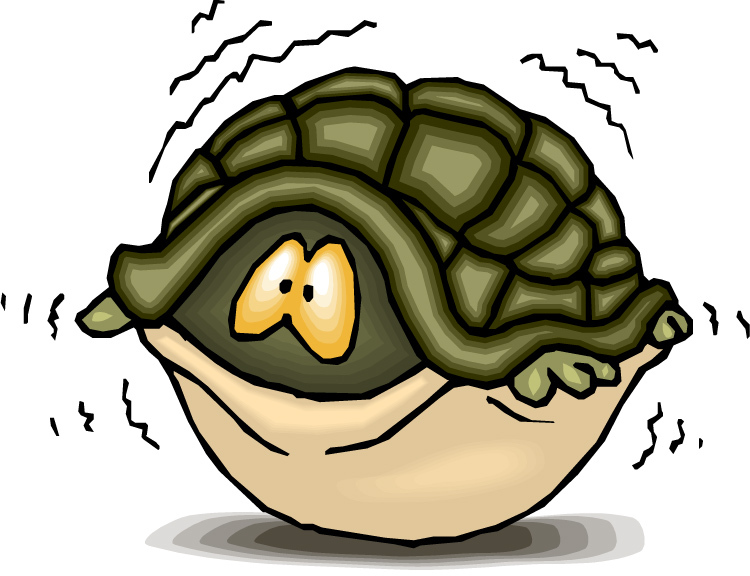 Our body goes into hyper-drive as we prepare to attack or run away at great speed. When the physical threat is real it can save our lives. But this same response is triggered by our pressure packed high stakes days, key meetings, and often the commute itself! Most people describe their inner critic as a voice or voices in their heads that constantly evaluate their behavior. It is every person’s Achilles Heel. The inner critic is a contracting diminishing voice. As it grows louder, we become smaller, weaker and less open. The inner voice can be so powerful that it prevents many people from ever trying. Even the most confident of people have an inner critic. To find out more about the practice of being present, please click on this page. Part 2 of this post will look at the 4 practical ways to become more present and mindful in our daily lives. *Note: This post was inspired and adapted from “Leadership Presence” by Belle Linda Halper and Kathy Lubar. Me too Ann! What a present! Living in the Moment is my Motto in Retirement, but needless to say, it doesn’t always happen quite as I expect. Smiling …. Living in the moment is about going with the unexpected. You are living it Vicki! The volume of distractions does interfere with this, but it’s still worth the effort to get there. Yes indeed Dan. Taking control of our own time isn’t easy when there is so much coming at us and demanding attention. Something as simple as turning off email and closing the door can give us enough space to become focused and present. “The inner voice can be so powerful that it prevents many people from ever trying.” This is so true, Val. Thanks for a wonderful post! … And the funny thing is, it isn’t about the trying harder, but the letting go! The biggest challenge is when we face ourselves and our inherent vulnerability. Meditation and mindful yoga brings us right there with a sense of curiosity and compassion. In the work place, it’s harder to bring attention inwards as everything is so outer focused and reactive to demands. The first step is the recognize that beneath most challenges at work is usually a vulnerable part of ourselves that is fearful. Really liked this posting. It was so helpful. More and more often, I am HERE and it is NOW ~> when cooking, washing my hands, eating, brushing my teeth, listening to music, or riding a bike. If I see my thoughts drift into the past or future, I bring myself back by breathing with full awareness. 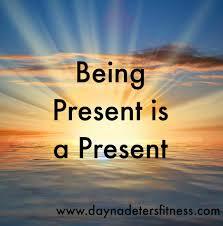 Being present in the present is a present! Thank you so much, Val, for this great post. It is an art to live in the present, and I continue this pursuit. I never thought of fear as keeping us from the present, but it makes perfect sense. The Inner Critic can be a real beast! Sometimes we are own own worst enemy. The critic is only one voice that shouts the loudest. It’s the one that reacts to things outside its comfort zone. It isn’t the truth … Yet we have grown to think it is. Yes, that inner critic can cause havoc. Thanks for the inspiration and wise words, Val. Glad you enjoyed it Carol. Have a great weekend! Val, I try to wash away hurts and self doubts. If I center myself and am present, each moment (outside of work, sorry warehouse is only area of my life that I “wish away!”) is worth the time. There are many hours a week I enjoy and pursue awareness and “being present.” 🙂 Your posts are a gift and share meaningful messages, Val.